The Thirty Meter Telescope is a new class of extremely large telescopes that will allow us to see deeper into space and observe cosmic objects with unprecedented sensitivity. 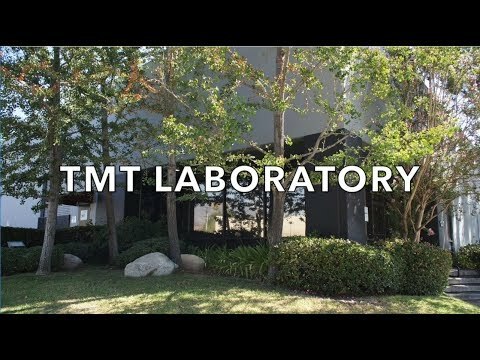 TMT will be a unique tool for probing many outstanding open questions in astronomy. 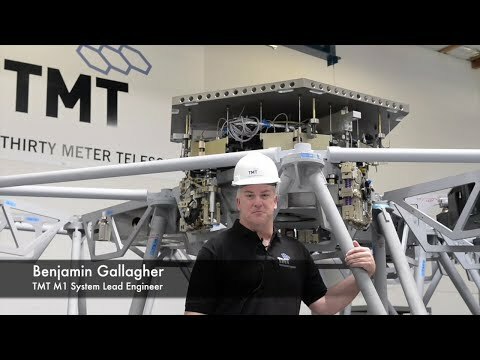 The Thirty Meter Telescope is being designed and developed by the TMT International Observatory LLC (TIO). The Board of the Thirty Meter Telescope selected Maunakea in July 2009 after a rigorous five-year campaign spanning the entire globe that measured virtually every atmospheric feature that might affect the performance of the telescope. 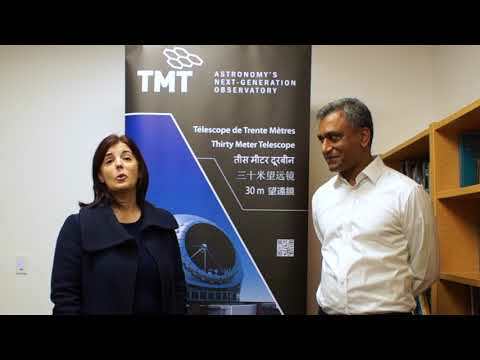 Dr. Ravinder Bhatia, TMT Associate Project Manager, visited the Center for Astrophysics & Space Sciences (CASS) at the University of California, San Diego (UCSD). In Ravinder's astrophysics seminar, he presented an overview and status update of the TMT Project. March 4th, 2019 TMT Project Office representatives with India TMT primary segments lead and contractors in front of the India TMT Optics Fabrication Facility, near Bengaluru, India – January 2019.